Mr Gyokudo KAWAI a great master of Japanese painting, contributed to the advancement of Japanese art and culture through the three periods of Meiji, Taisho. and Showa. protecting the essence of traditional Japanese painting and developing a serene and refined style of his own. The fact cannot be overlooked that the charm derived from his unaffected yet amiable personality and works helped directly and indirectly to cultivate artistic sentiments of the people and at the same time to make the the world understand the peaceful state of things in Japan. 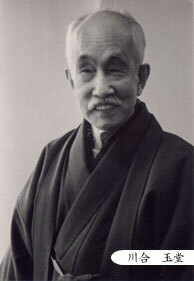 With the support of many interested organizations and individuals throughout the nation, including Her Majesty the Empress, the Gyokudo Art Museum was constructed in the Mitake Valley, his favorite place for stroling, in order to preserve permanently his personality, his works, and his personal belongings, and to impart his true value to posterity for many years to come.